Overseas Workers Welfare Administration (OWWA) will give financial assistance to OFWs and their families who were affected by the recent super typhoon Lawin particularly those in the areas that were under signal #5,under their Cash Relief Assistance Program (CARE). This includes Cagayan,Isabela,Kalinga,Apayao,Northern Abra and Ilocos Norte. OWWA provided P30Million funds for the said program. 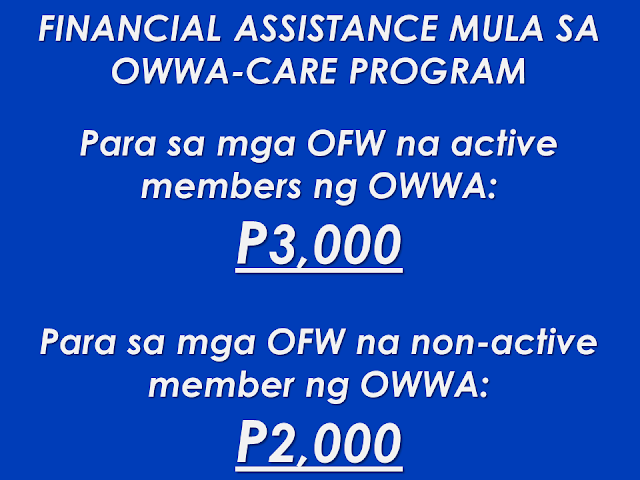 Under OWWA-CARE program,affected active OWWA members will receive P3,000 per OFW family while non-active members will receive P2,000 per OFW family. The CARE program is OWWA's response to President Rodrigo Duterte's orders to extend and expand the assistance for the Oveseas Filipino Workers. "In the event that there is more than one OFW in a family, only one OFW member is entitled to receive the monetary assistance," OWWA said. OWWA said claimants may apply through OWWA Regional Welfare Offices. Duly accomplished Claim Form with Undertaking that no other OFW-family has availed of the grant. Proof of relationship, if applicant is dependent of OFW-member. 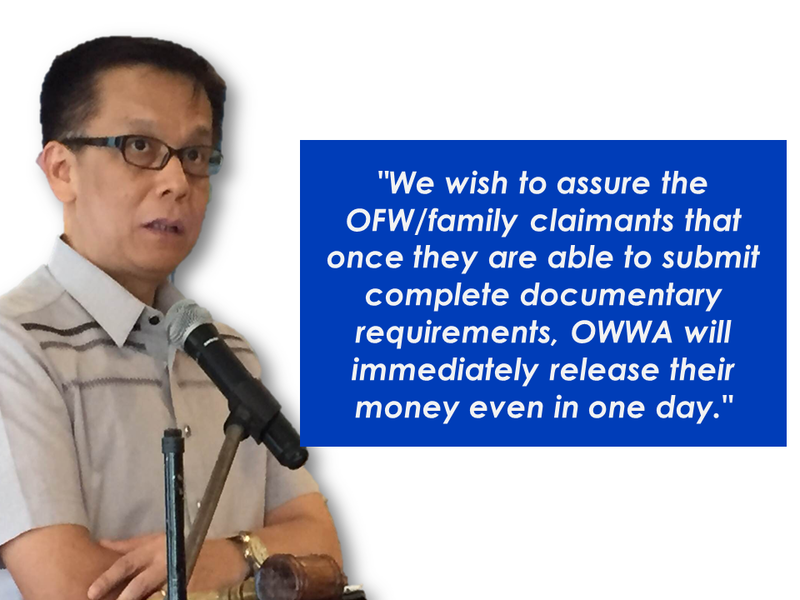 OWWA Administrator Hans Leo Cacdac has instructed all OWWA implementing units in the affected regions to facilitate the release of the OFWs’ and their families’ CARE based on the guidelines prepared for this purpose. "This way, they can use the money to fix their houses or in a way help them," Cacdac said. However,an statement from Admin Hans Cacdac was released from a Facebook page Republic Defenders asking the public to wait for the next announcement about the OWWA benefit.He also asked for understanding and apology for the delay. 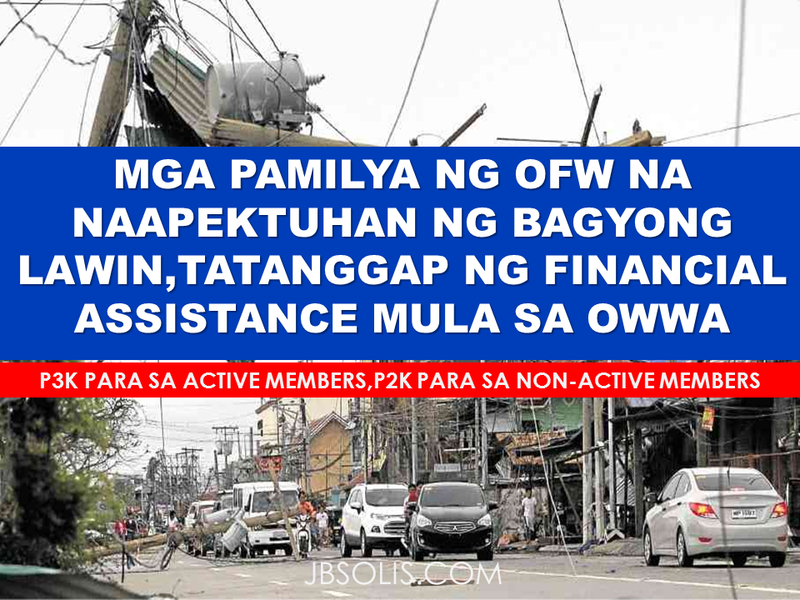 Update:OWWA Central Luzon has released a memo bearing different amounts of the assistance that can be claimed by the OFW and families victimized by Super Typhoon Lawin. 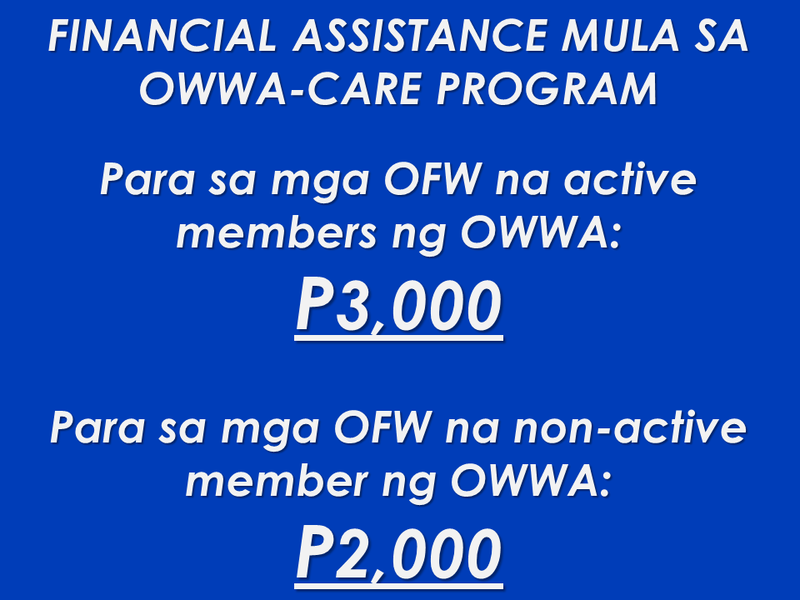 The aforementioned amounts of P3,000 for active OWWA members remained as is but the amount that can be claimed by the non-active members were reduced to P1,500 from P2,500. Meanwhile,Bureau of Customs Commissioner Nicanor Faeldon said that the P20 Million worth of smuggled rice from China can be donated as a relief goods for the benefit of the families affected by the recent Super Typhoon Lawin's onslaught. 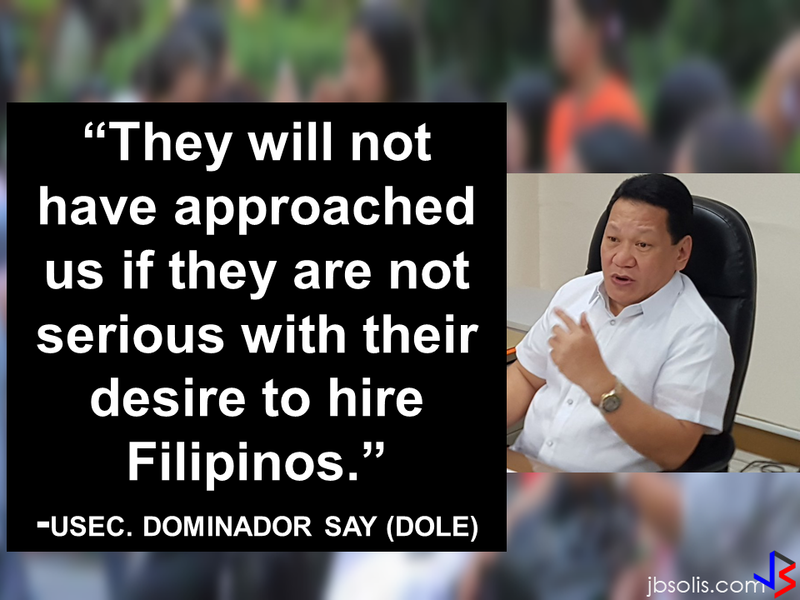 The 12 container vans declared to be leatherettes are found to be containing 10,000 sacks of rice from China after the BOC officers had a suspicion as leatherette demand of is not that big.